Michael also offers several other products sure to please any gift recipient, like non wood pens, laser engraved pens, and pens engraved with your family’s Coat of Arms. Custom engraving is also available and custom orders are welcomed! 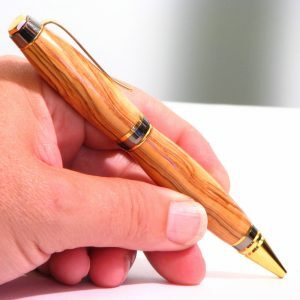 Click through to the Wooden Pen Works website and put the “wow factor” back in your gift giving. 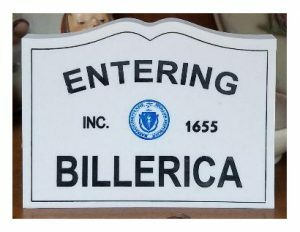 Proudly Made in Massachusetts! 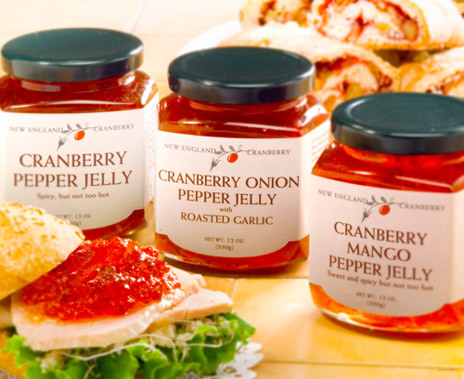 This Bay State small business was recently selected by Martha Stewart as an American Made finalist, by USA Today as a Best Gift For Foodies and by People Magazine for inclusion in the publication’s gala gift bags. McCrea’s is also a Good Foods award winner, a distinguished national award for food crafters who make food products that taste delicious and are made from responsibly sourced ingredients …. A deluxe caramel that is handcrafted in small batches, McCrea’s Candies caramel makes the perfect gift for anyone on your list at any time of year. 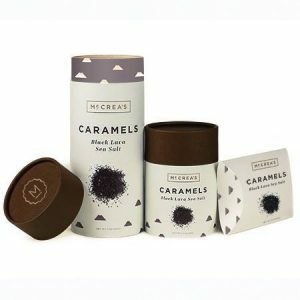 The company uses only local, real-food ingredients and packages its caramel in beautiful compostable containers. Everything is made in America! Click through to their website, linked above, to order as a gift or even just for yourself! You’re one click away from some of the most delicious gifts ever! 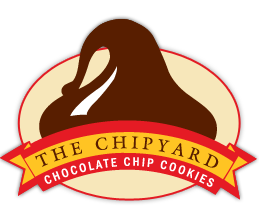 The Boston Chipyard: This chocolate chip cookie mecca is located with historic Faneuil Hall Marketplace, and when you visit, you’ll have a hard time deciphering whether the crowds are there for the historic Hall or for the spectacular cookies! They’ve got a thriving online business which you’ll see at their website – cookies are shipped fresh to fans across America every week and they make great gifts too. You can order in two dozen increments and believe us when we tell you, you’ll want at least that many … these cookies are really something special! Coop’s Micro Creamery: Marc “Coop” Cooper is an electrical engineer by education, but he’s best known for his expertise in frozen desserts. Over the years, Marc has produced ice cream under the Harrell’s label and won a dozen Best of Boston awards. He has produced millions of ice cream treats for such famous outlets as Legal Sea Foods, and now he’s operating his own micro creamery producing related specialties. The Salted Caramel Sauce, which we enjoyed with vanilla ice cream, contains no corn syrup, glutens, or GMO’s. It doesn’t need anything other than the natural ingredients which make it taste so great! It’s quite possibly the best caramel sauce we’ve ever had … get yourself some! 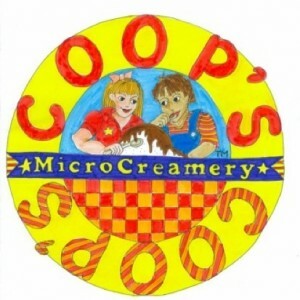 At the Coop’s Micro Creamery website, you’ll find a list of locations in Massachusetts where it’s carried. Also, there’s a list of outlets carrying it online if you’re like us and live outside of The Bay State. A great gift for someone sweet who likes sweet things! 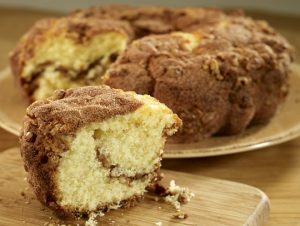 Czech holiday traditions always include home baked cookies and other delectable treats. Klara taps into this tradition with varieties like Vanilla Walnut Crescents, classic Linzer Cookies (made with jam), and Ginger Shortbread, to name a few. Chocolate fanatic? 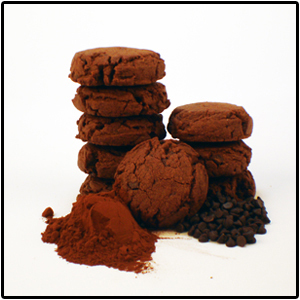 Be sure to try the Double Chocolate Sea Salt Shortbread variety, along with the Chocolate Coconut Macaroons, a Christmas specialty (but fantastic any time of year!). Click through to learn more about Klara’s Gourmet and enjoy the rich flavor of the Czech Republic and The Bay State! Coney sauce has been compared to chili, but that’s not quite accurate. It’s thinner, more like a gravy, though it’s made with many of the ingredients used in chili. Finely ground lean ground beef is used along with spices to create a topping that’s made to soak a bit into the steamed bun, creating a taste sensation like no other. The Coney’s at Nick’s are legendary! 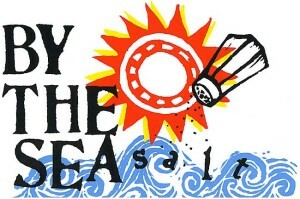 Easy to prepare and a fun economical gift for anyone who loves The Bay State, or just a good Coney! 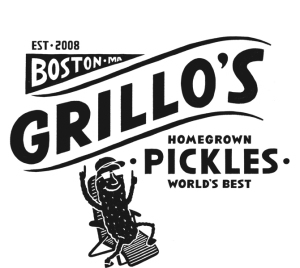 If you live in their general area, you can order their natural, organic pickled products in 4-packs, cases of 12, or 1 gallon buckets. Click through to their website to see their whole story and learn more! Fairland Farms is the caretaker of numerous cranberry bogs in the southeastern part of the state, many of which date back before the Civil War. Experts in both wet harvesting and dry picking of cranberries, the Farm sells dried, fresh, and frozen cranberries directly from their website. 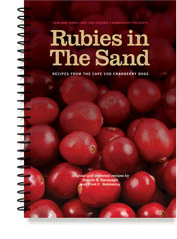 Fairland Farms is the producer of the definitive cranberry text, “Rubies in the Sand”, a spiral bound cookbook and resource guide containing over 200 cranberry recipes. It’s available at their website and makes a great gift for anyone who wants to know more about this native berry that’s the pride of Massachusetts! One of the company’s pickles is dubbed “America’s First Crossover Picle”, a clever moniker for their Zesty & Sweet Pickle Chips. They’re a little of everything – sweet, dill, zesty, and offer a bit of heat. Perfect for the taste buds that can’t quite decide! Saw Mill Site Farm Horseradish: Located in the western part of the state, Saw Mill Site Farm is one of New England’s experts in processing and packaging horseradish and related products. 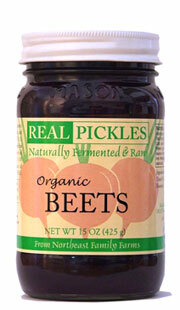 Best known for their Frankie’s Horseradish, the company also produces horseradish with mustard, beets, and cranberries. You’ll find Saw Mill Site Farm products all over the northeastern states, which is where we found a jar of another of their items, Firshmonger’s Fusion Cocktail Sauce. And what a fusion it is – ingredients include piquin peppers, horseradish, wasabi, capers, organic ketchup, cucumbers, and fresh lime puree. 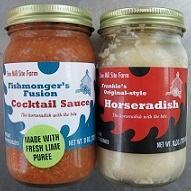 It’s unlike any tartar or seafood sauce you’ve ever tried – we wish we’d bought more! Their Cocktail Sauce is a hearty blend that goes just as well on raw clams and oysters as it does on a delicate piece of white fish. We even used a spoonful on fish tacos – fantastic! Named after the Latin word for “true” (Ver), their flagship product is VerMints Organic Peppermint, and it’s unlike any mint you’ve ever tried. The mints are sweetened with organic maple syrup and infused with actual peppermint leaves – no strange and hard to pronounce ingredients! Founder and Owner Bonnie Shershow has had her products featured in Food & Wine, The New York Times, The Washington Post, Boston Herald, and now here at State Gifts USA! 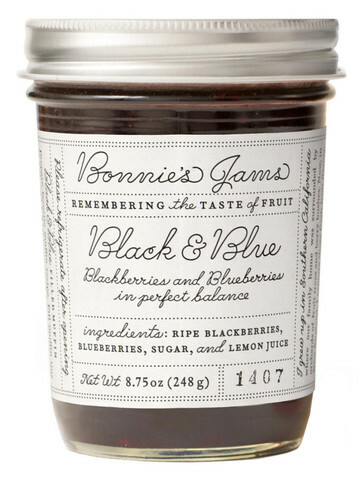 You can find these wonderful jams at specialty markets across the country (check the list on their website) and directly online. For something special, gift packs are available as well! Located in Tyngsboro in the northeast section of the state, Carlisle Honey is one of New England’s most popular honey producers. In fact, they shipped their honey to all 50 states in 2013! Both spring and summer honey are available, and though these aren’t “official” names, they denote honey harvested in the different seasons. The spring variety is lighter in color, resulting from the bees pollinating spring flowers and area fruit trees. It has a pleasing light floral flavor! A darker, richer flavored honey results from bees pollinating the more mature summer flowers. The color is noticeably darker and it’s excellent right out of the jar or used in or atop baked goods and other recipes. We use honey as a natural sweetener in our stir fry dishes with delicious results! 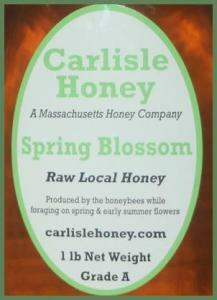 You can order Carlisle Honey directly from their website in various sizes and forms, as well as bees wax candles. A wonderful Massachusetts gift for anyone on your list – or just for yourself! Grillo’s makes two varieties they’ll send out anywhere in the country – Original and Hot. They’re packaged and shipped cold and come in containers of 16 spears. The Hot variety packs quite a punch – great as a garnishment for a Bloody Mary or to complement a deli sandwich. 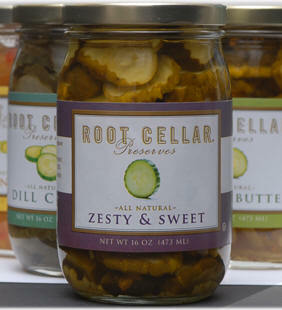 You can mix and match the pickles and they’re shipped Fed Ex Two Day Air to ensure maximum freshness. We are big fans of the company’s Cranberry Mustard. It’s tangy with just a touch of sweetness and we use it on grilled chicken breast. We spread a thin layer about halfway through the grilling process and let it glaze on the chicken. It’s great served over rice or just on its own! New England Cranberry Company products can be found at specialty food retailers in many states, but for easier shopping click through to their website. Gift packages are available as well! So what is Fire Cider? Well, it’s a tonic intended to be taken a teaspoon or so at a time a couple times daily. It’s made with organic apple cider vinegar, local wildflower honey, organic citrus, ginger, onions, garlic, turmeric, horseradish, and habanero peppers. Everything except the honey is organic and since vinegar and honey are natural preservatives, the Fire Cider is never heated or refrigerated as it is made. It has a natural, slightly spicy flavor with a small amount of heat from the horseradish and the habaneros, but it’s nowhere near the heat level of, say, a hot sauce. A really interesting product from The Bay State! 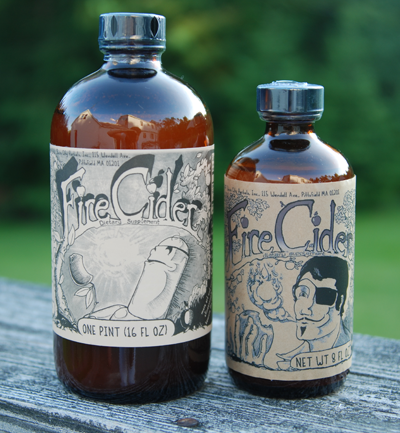 You can order Fire Cider online from the company’s website in anything from 8 ounce bottles to one gallon containers. Try it for what ails you! 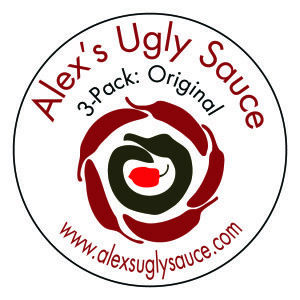 Alex’s Ugly Sauce: Based in the Boston neighborhood of Roslindale, Alex’s Ugly Sauce uses local Massachusetts produce and honey to create their line of artisan hot sauces. We’re not sure why they’re called Ugly, because the sauces both look and taste good, but no matter, they’re well worth your time to check out! They also make a special edition sauce called Dragon which combines Thai Dragon and habanero peppers with some local honey for that hot & sweet combination people love so much. It’s made in limited quantities, so grab some when you can! 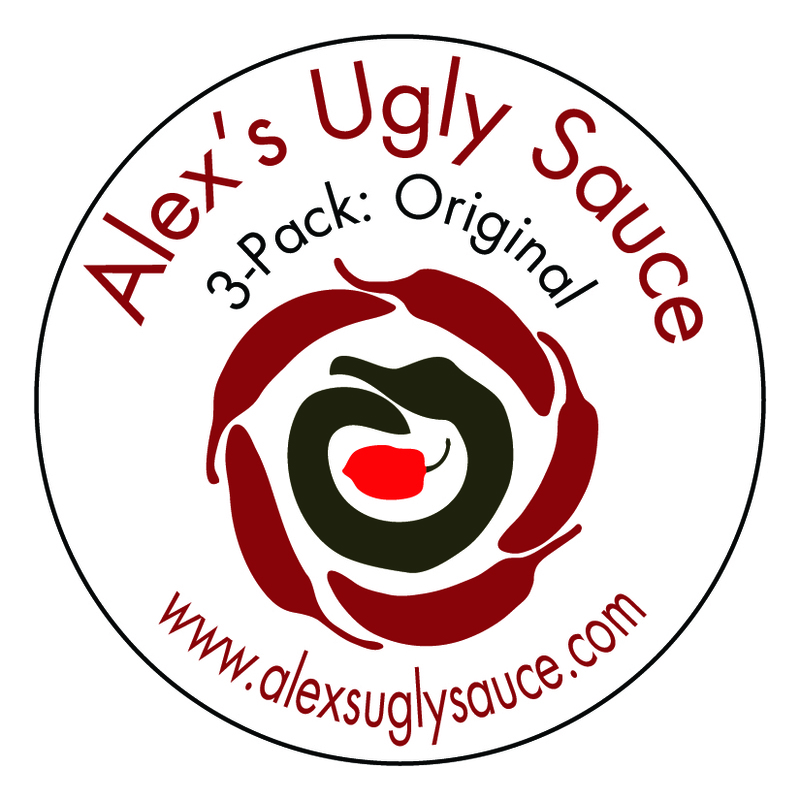 You can order any of the Alex’s Ugly Sauces online at their website. They’ve got great deals on combination packs and you’ll save on shipping! A tasty gift from Boston! There’s a new version out with a little spicier flavor, it’s called Jose Can You Sea Salt. It adds a little bite and zest to whatever you’re making and can be used as a rub as well as a sprinkle on seasoning. You can order either (or both!) of these seasonings in four ounce jars directly at their website. 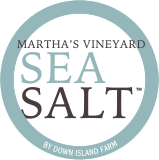 Directly from Martha’s Vineyard! The farm also offers other home made products via the store, like pancake mixes, honey, and a series of jams and condiments. Combine several in a gift basket! 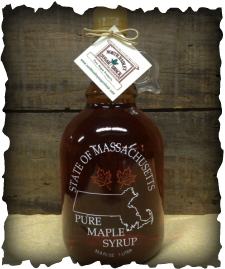 Order and enjoy the truly Massachusetts made products from the North Hadley Sugar Shack! It’s Chelsea Fire Hot Sauce, named after two devastating fire from the town’s history. 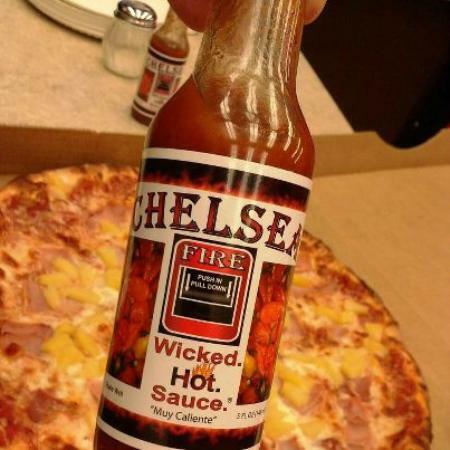 The hot sauce contains both habanero and ghost peppers, so it’s high on the heat scale. Vinegar and spices help round things off – try it mixed into a pasta salad to liven things up! Combination packages are also available – a wonderful gift! They’ll ship all across the country, so check their website for all the details. Try the herring, it’s fantastic! 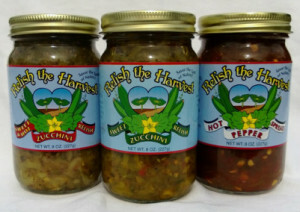 There are several great recipes for using both of the relish products and the pepper spread on the Relish The Harvest website. They accept PayPal for quick and easy ordering. 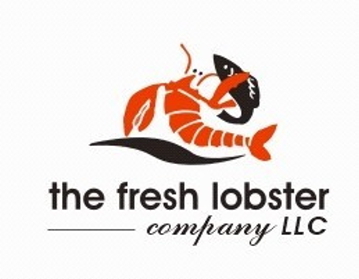 Get yourself a farm fresh taste of Massachusetts! 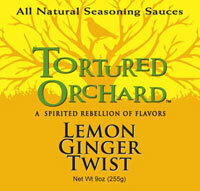 You can buy any of these finishing sauces (five in all) at the Tortured Orchard website. We recommend the Sampler Pack – you’ll get to taste all five! My mother’s side was a mixture of Polish and Bohemian. One of the family’s recipes was for pierogi, which are two thin slices of dough wrapped around a filling and then boiled or fried. In a way, they’re similar to Italian style ravioli, except the fillings are different. Polish pierogi are filled with the likes of cabbage, cheese, potato and cheese, onions, and even fruit like prunes or blueberries! There’s a small Massachusetts company named Millie’s Pierogi who make these little pillows of goodness and will ship them across the country for you or as a gift. They’ve got a great selection of fillings, and the pierogi are first boiled and then shipped fresh … just heat and serve! Millie’s sells pierogi by the tray (about a pound each), as well as other Polish specialties. There’s even some cool Millie’s swag like t-shirts, sweatshirts, and caps! 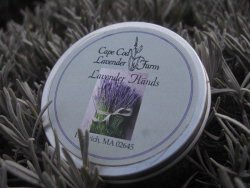 At their website, Cape Cod Lavender Farm offers several lavender based products to tempt your senses and augment your culinary creations. Choose from gentle lavender shampoo, soothing lavender body wash and hand cream, lavender soap, and more. What a wonderful gift idea from beautiful Cape Cod! 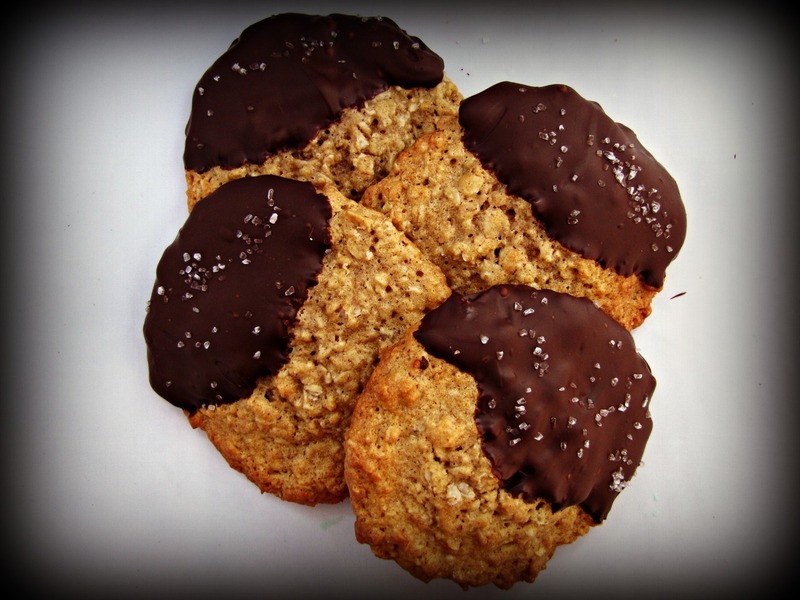 The Cape Cod Cookie Company – Yum! The cookies are made fresh daily from local ingredients by order. They’re soft baked and big, and make an excellent gift directly from beautiful Cape Cod! One product which looks particularly appealing is the Dennis Dipped With Sea Salt … it’s an oatmeal based cookie half dipped in dark chocolate and sprinkled on top with locally harvested sea salt. Cape Cod Cookie Company also makes fun and unique cookie sandwiches as well as a handy Cookie of the Month Club (six or twelve months). Now who on your gift list wouldn’t enjoy getting cookies in the mail every month?? You can order individual jars or in multi packs as part of a gift basket. We did not know cranberries are prolific on beautiful Cape Cod! 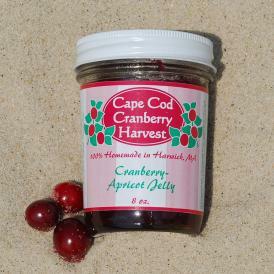 Order some of these jellies from Cape Cod Cranberry Harvest for yourself or as an ideal gift from Massachusetts! Their primary sauce, Summit 6 Classic Thick and Savory, is bursting with six different vegetables. The sauce is fat free, low sodium, and all natural without added sugar. A spicy version is available too! 8). In 1781, Massachusetts was the first state to recognize July 4th as a state holiday. 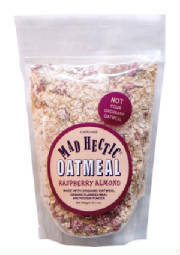 Mad Hectic Foods: Did you know that all oatmeal is not created equal? There’s a reason why mom always told you to eat your oatmeal. It’s extremely healthy for you! We personally love small artisan soap makers and use these types of products daily. Not only are they far better for your skin than mass produced soap, but they last longer too! Go to the Plum Island Soap website to see all their natural products … a great “Made in Massachusetts” gift idea! No matter the location, Gray’s grinds a local flint corn native to this immediate area. The corn is very hard to grow and difficult to grind … it needs to grow in relative isolation since it mutates when contacted with any other corn strain. The mill grinds the corn into johnnycake meal … which end up as small corn cakes well known to these parts for centuries. The corn is also used to create pancake and waffle mix. 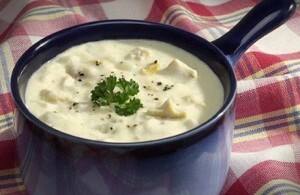 Order a special taste of Massachusetts (or Rhode Island!) 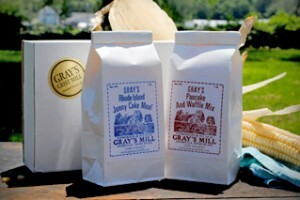 directly from Gray’s Grist Mill … you’ll find all sorts of great recipes on their site too! We feature them as often as we can at State Gifts USA, and this time it’s Ski Chair of Millbury, MA. 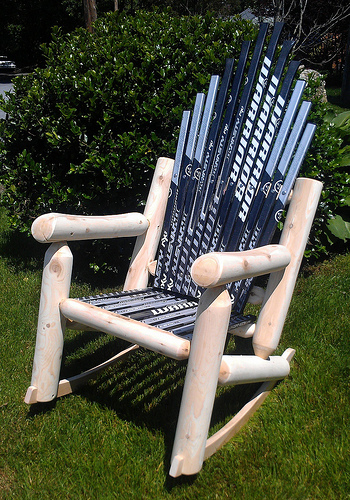 This small innovative company manufactures recycled furniture from sports equipment like snow skis, snow and surf boards, hockey sticks (shown at left), golf clubs, and more. To us though, their potato chips are the biggest attraction … they’re kettle cooked … crispy and crunchy and not too salty, and sturdy enough to stand up to dips. 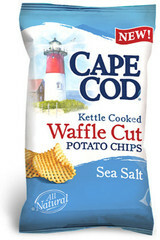 Cape Cod Chips are generally available nationally, but you can “build your own case” online via the Cape Cod Chips gift shop. Our favorites are the original style and the new waffle cut variety … how about you? 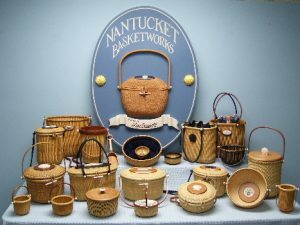 We want to share a great website we found that has listings of Massachusetts artists … it’s NorthQuabbinWoods.org and there you’ll find local artisans creating paintings, pottery, fabric art, glass blowing, jewelry, metalworking, woodworking, and more. All the products are locally made in Massachusetts and there are links for every artist’s website and how to contact them and view their works. Local art is a wonderful gift, and a great addition to any home decor. Plus, you’re supporting small local businesses and encouraging entrepreneurial spirit! 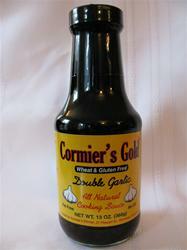 Cormier’s makes five different cooking sauces … cracked black pepper, ginger and garlic, double garlic, garlic and jalapeno, and orange burst. We’ve tried both the double garlic and orange burst sauces, and we love them! To use them, just add a few tablespoons or however much you want to any kind of dish, like pork, chicken, or fish. We cook a lot of stir fry dishes and use these two sauces mixed in with the chopped vegetables and meat. You can use them as a marinade too … the double garlic sauce adds a great flavor and tenderizes as well! The farmstead is demonstrating their commitment to renewable energy by installing a solar energy system which reduces their standard power consumption by 50%. You can order their award winning gouda cheese either plain, naturally smoked, or with caraway, cumin, or sun dried tomatoes. 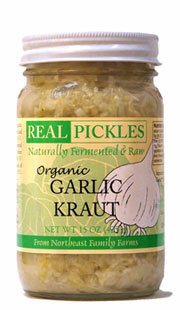 Pictured is Real Pickles Garlic Sauerkraut which contains Massachusetts grown cabbage and garlic. It’s a great alternative to standard sauerkraut! Boston Honey Company: If you enjoy using honey at breakfast like we do, you’ll come to find a measure of satisfaction from tasting different honey from different areas of the country. We’ve always preferred wildflower honey … it has a rich, complex taste because the honey is comprised of nectar from many different wildflowers. Other honeys offer similarly complex palates and colors, depending on the plants involved. They’ll ship anywhere in the U.S. and all you’ll need to do is heat and serve!